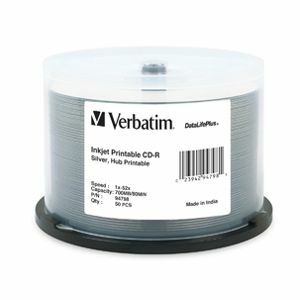 Verbatim has led the professional printable surface industry in high-quality CD-R media for over 6 years. Ideal for CD duplicating, these discs have been extensively tested and qualified for use with DVD/CD Inkjet printers and duplicators. Discs feature the proprietary, innovative 'Super Azo' dye providing long-term data security and superior resistance to UV irradiation.